Blazin’ Squad have been revealed as the final act to be added to a revival concert which heads to the region this autumn. 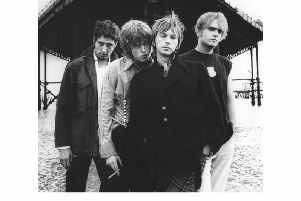 The band shot to fame in the early noughties, had six top ten hits and are renowned for songs such as Crossroads and Flip Reverse. They will join a host of other stars from around the same era including Peter Andre, Venga Boys, 5IVE, S Club, East 17, Big Brovaz and Booty Luv at the StepBack 90s concert at Ricoh Arena’s Ericsson Indoor Arena on Saturday, October 13.